← How much will Disney lose on all their ridiculous Lone Ranger merchandise? This summer at Disneyland park, Iron Man Tech Presented by Stark Industries has given us a close-up look at Tony Stark’s Hall of Armor and an opportunity to virtually “suit up” in the Mark 42 armor featured in the blockbuster film, “Iron Man 3.” And we’ve recently learned Captain America will be appearing at Avengers Academy on the reimagined Disney Magic. Soon, we’ll have a chance to meet yet another super hero, according to the Disney Parks Blog. Be sure to check back here on the Disney Parks Blog next month, as we share more details about how you’ll be able to visit with Thor at Disneyland park. 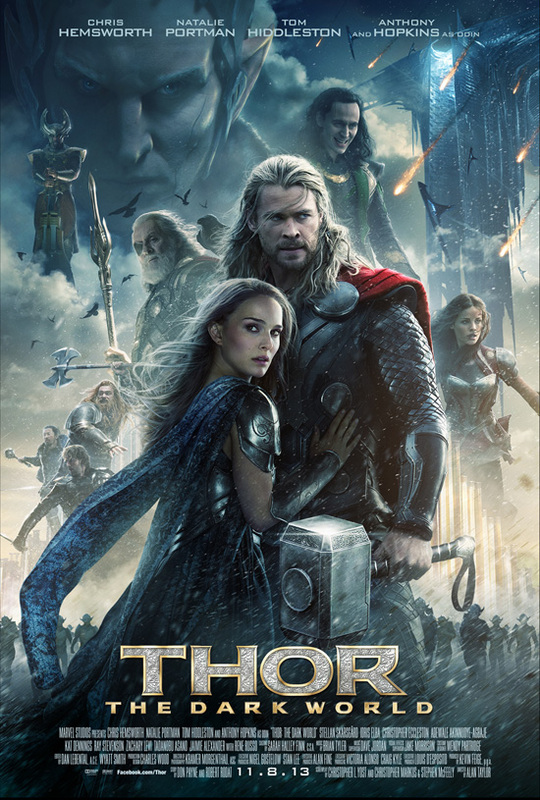 Thor: the Dark World is coming to theaters on November 8. Reportedly some scenes have been added to the film, to boost the presence of Thor’s wily brother, Loki, who is played by the talented Tom Hiddleston. This entry was posted in Disneyland, Marvel Studios, Movies, News, Thor and tagged Disneyland, The Dark World, Thor. Bookmark the permalink.